Price includes shipping per letter post within Australia. Overseas? 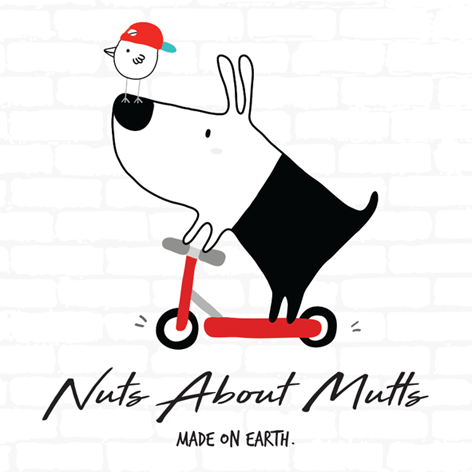 Email info@nutsaboutmutts.com.au for a shipping quote. No more boring dog collars and leads!! Every dog needs a smart collar to make a statement. 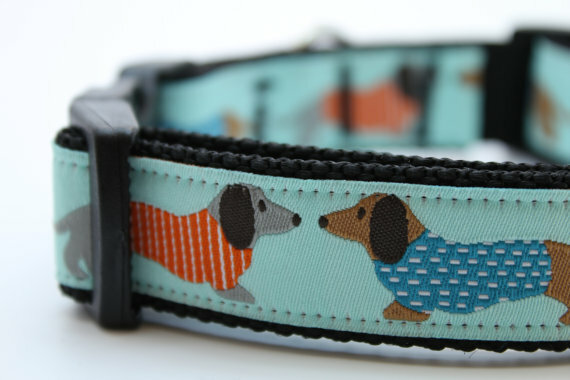 Cute and colourful dachshund doggies on a pale blue background. Team up with a matching lead for maximum impact! * Top quality metal and plastic hardware * Double stitching on all stress points. This range is not suitable for small dogs, toy breeds or pups as the collar is wide with a big chunky buckle. Leads: Not available at the present time. If you're not sure which size to choose, please send us your pet's neck measurement and we'll select the appropriate sized collar. Collars are fully adjustable.